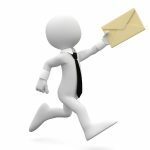 We can provide you with a competitive natural stone paving quote from our database of paving installation companies around the UK. Whether you are looking to renew your driveway, patio or footpath, this service is completely FREE. 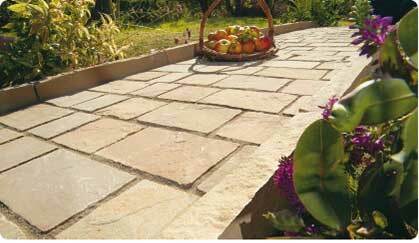 Natural Stone Paving includes a wide range of paving products such as limestone paving, sandstone paving, granite setts and natural slate. 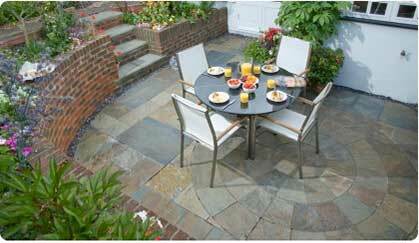 Installing a natural stone patio requires a level of skill and experience which most paving companies probably don’t have. 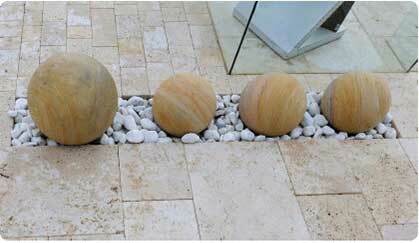 Specialist paving installers may even concentrate on just one type of natural stone paving such as granite setts. And whilst this means that they may charge more for their labour than your average block paving installer, the finished product should leave you in no doubt as to why. Your natural stone paving quote should explain in detail exactly the extent of work to be carried out and include scale drawings of the proposed finished job. Every phase of the installation process should be explained in detail including the depth of excavation, construction of the sub-base and the layout pattern of the stone paving. 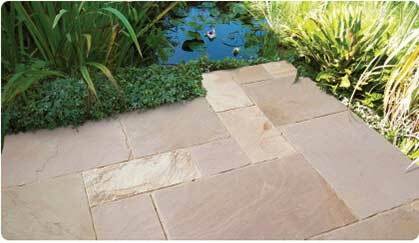 Each type of natural stone has its own unique qualities of colour and texture which means that, budget permitting, there is a natural stone paving option perfect for every home and garden. Natural stone paving is available in a wide range of sizes and shapes from simple squares and rectangles, to interlocking shapes which can be formed to create a circular or octagonal stone feature for your garden. 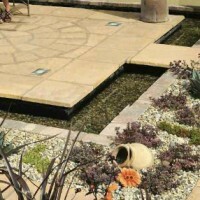 Gardens which incorporate natural stone are often improved with the addition of Sandstone Spheres, gravel areas and water features such as ponds and waterfalls. 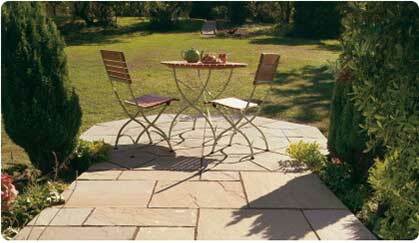 The natural beauty of stone paving will ensure that your stone patio will become the focal point in your garden.